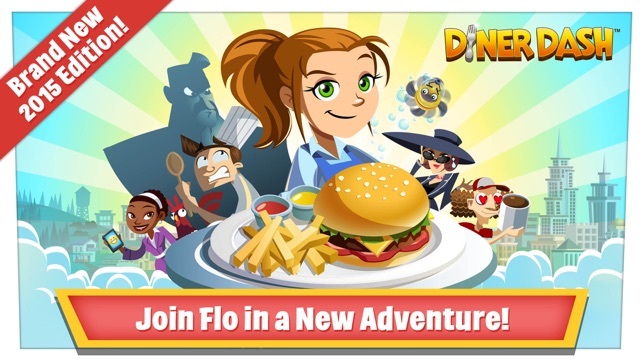 Flo’s back in the biggest Diner Dash game ever—the latest and greatest in the world’s #1 hit time management series! 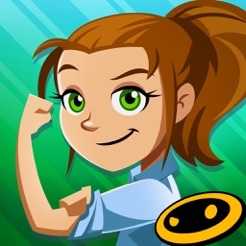 Roll up your sleeves for the breakfast, lunch, and dinner shifts, because Flo needs your help. With speedy service, please customers and earn big tips to keep the town’s diners in business and fend off Mr. Big’s brigade of Eat-Mor fast food restaurants! Strategically seat, serve, and satisfy hungry customers to earn tips and big rewards! Cater to each customer’s unique demands while overcoming new challenges from VIPs and troublemakers alike! Play 150+ levels across four unique venues with more levels, restaurants and characters to come! 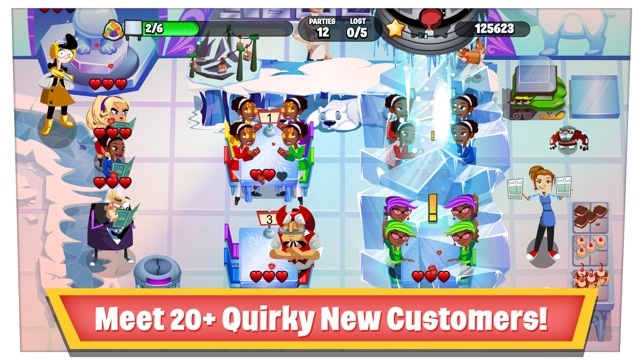 Keep tabs on over 20 customers with distinctive personalities and demands like the coffee addict, Shakes McGee, or the nefarious cheapskate, Skip. Pay special attention to VIP characters to earn rare rewards! 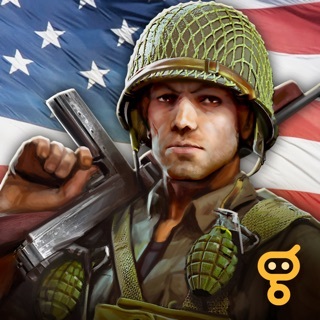 STATE-OF-THE-ART UPGRADES & POWERFUL BOOSTS! 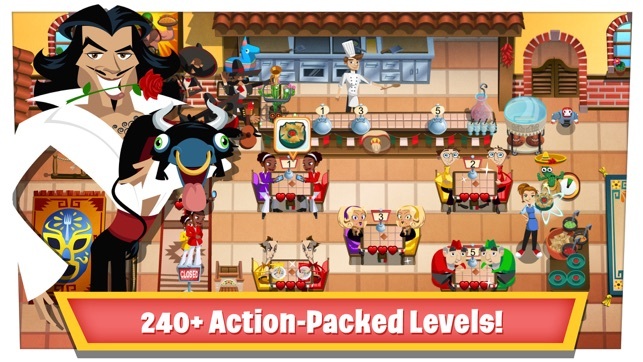 Upgrade your restaurant with helpers like Moppo or use valuable boosts to amp up your speed and abilities! Connect with your friends to help each other succeed by sending gifts or compare progress to see who’s ahead! Want more from PlayFirst? 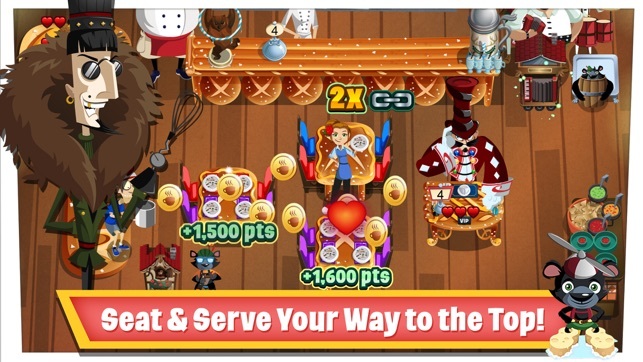 Try our other fun games including Cooking Dash, Wedding Dash, and Hotel Dash. You’re guaranteed to see familiar faces that you know and love! - This game is free to play, but you can choose to pay real money for some extra items, which will charge your iTunes account. You can disable in-app purchasing by adjusting your device settings. - This game is not intended for children. Having played the previous version I was initially disappointed to find you only get 3 lives at a time now, and the levels seem quite hard early on. Thought it would be impossible to get anywhere without spending real money. Well I can confirm this is not true. 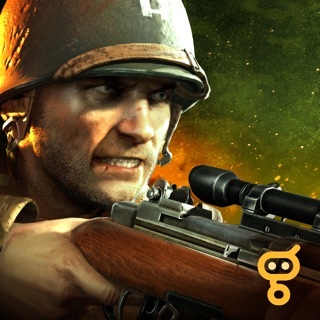 I have just finished all levels with 3 stars and have spent the grand total of 99p. (To be honest that was a waste of money anyway as I bought extra ‘fast flo’s’ when they were on offer but didn’t win a level using them anyway! Eventually passed the level with no boosts!) Every few days they have special events - unlimited lives, extra life if you pass the level, extra dinero etc. Use these events to pass the harder levels! 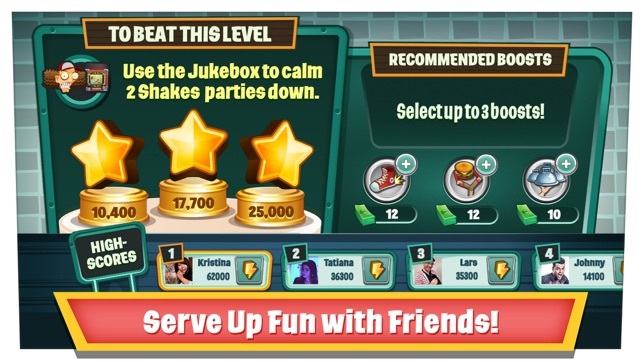 Also check out the challenges as these allow you to earn dinero for free by passing certain requirements or just by tapping on the dog every day etc. Yes it’s slow going at times but since I don’t have hours of free time anyway it was fine. Ok so I am hooked on this game! I’ve reached level 2 without spending money, but I do feel that the game will make itself impossible to finish a level without spending an amount. I was thinking about buying money to spend in game, as I would have happily spent £10 outright in the beginning to own this game. However, the crazy amount of in-app purchases they set on this game is actually throwing me off from playing it.